Cross Country season events are held each Saturday mornings in April through August. Several venues are used offering a range of running conditions. It’s an 8.45am warm up and races commence at 9.00am sharp and generally are all complete by 11.00am. 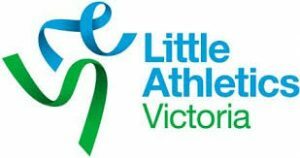 In addition to the regular Cross Country runs you might like to consider participating in one or more of the many Open Day’s offered by various Little Athletic Centre’s. Each season we attend Knox Open Day and the Hills challenge at Cockatoo. Sometimes if it is not possible to run the scheduled Program we may elect to run certain events. First Round of the season is on April 6th at Morrison Reserve. Hope to see you all out there!! The calendar is available on the Winter Calendar Page here in the Website. New members of all ages and abilities will always be welcomed at the club. Please visit our website or go to our Facebook page for more information, results and training times.